Swakeleys Estate was inherited by Sir Edmund Wright’s daughter Katherine. Katherine’s husband, Sir James Harrington, was a prominent Parliamentarian, fighting against the monarchy. England by this time was deep in Civil War. It was Sir James Harrington who installed the arched screen in the Great Hall. 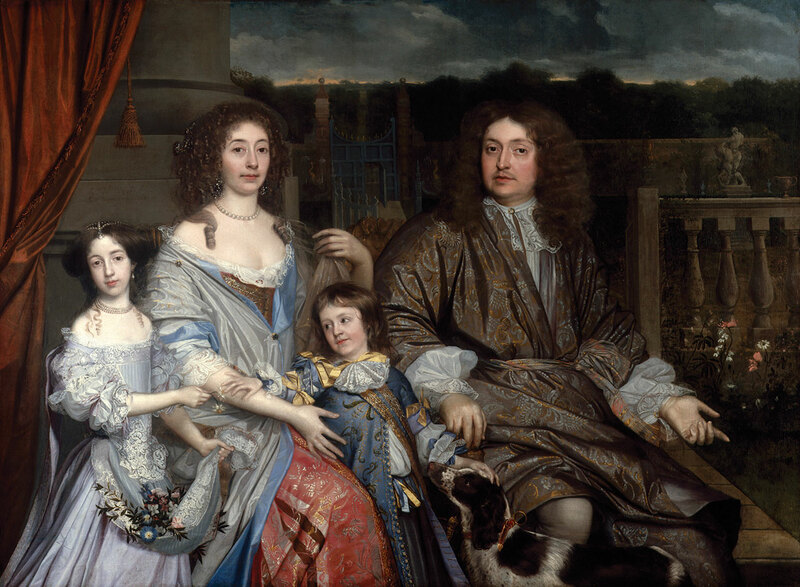 When the monarchy was restored in 1660, Sir James fled the country to save his life, leaving his wife alone. Katherine sold Swakeleys Estate to the rich banker and Royalist financier, Sir Robert Vyner. From leading Royalist in Sir Edmund Wright, prominent founder of the Crown under King Charles I, to prominent Parliamentarian in Sir James Harrington, back to leading Royalist and financier, Sir Robert Vyner under King Charles II, power, politics and influence turned full circle at The Swakeleys Estate under the Stuart Kings. This account by Samuel Pepys illustrates how Swakeleys was used again as a place of entertainment and for the cultivation of power and influence. Pepys’ remark that it was ‘not very modern’ shows how quickly architectural style was moving. Vyner did not modernise the house extensively, but he may have installed the large and impressive fireplace in the Great Hall. Most of Vyner’s money was spent on loans to the King and his government, which gave him immense political power. In 1707 Swakeleys Estate passed to Vyner’s great-nephew, also called Robert Vyner. He seems to have modernised almost every room. There is no written evidence to confirm this, but much of the panelling and doors has an early eighteenth century appearance. It was probably he that added the panelling in the Great Hall, as well as the Corinthian pilasters framing the windows. The black marble window surrounds are original and were no doubt intended as a conspicuous show of wealth. They are highly unusual. The great painted staircase is mysterious. We know it was built during the Victorian period and yet it looks like a much earlier design, perhaps of c. 1700, so it is possible that the old staircase was simply rebuilt in facsimile. The two wooden posts against the wall are all that survive of the original staircase of 1638, which would have had thickly carved panels instead of the elegant balusters seen today. By 1750 Swakeleys was in the hands of the Rev. Thomas Clarke, in whose family it remained until the early twentieth century. Members of the family had their coats of arms painted onto the Harrington screen.